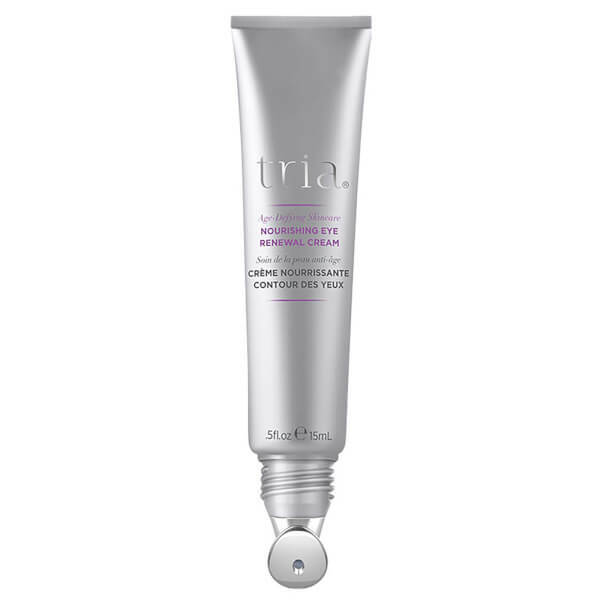 Tria's Nourishing Eye Renewal Cream is an anti-ageing formula specially developed to be used post-laser treatment to help calm and relieve the delicate eye area. Infused with a host of natural antioxidants and essential fatty acids, including Ginger and Sea Fennel extracts, the cream glides effortlessly onto skin with its cooling metal applicator, delivering calming benefits to help neutralise redness post-treatment, reduce the appearance of fine lines and wrinkles, and visibly diminish signs of puffiness. Its dose of Hyaluronic Acid, Retinol and anti-ageing boosters work in synergy to replenish moisture whilst targeting signs of ageing to promote a plumper, smoother, younger-looking eye area. After use, skin looks instantly radiant and refreshed.